Annual filing means submitting companies’ financial and non-financial information to Companies regulatory authority i.e. ROC (Registrar of Companies) of the concerned state where the registered office of the company is situated within the stipulated time period. Annual filing ensures the transparency in the working of the companies. Since it is a mandatory requirement, therefore, companies cannot hide its financial information. Annual filing provides various information of the company such as company’s business activities, capital structure, cash flow, liquidity and profitability, transactions with related parties etc. What Forms are included under Annual Filing? Under companies Act, there are only two forms, namely, AOC-4 and MGT-7 which are prescribed for annual filing. Both forms are filed online to ROC. This form mainly contains financial statements which include Profit & Loss Account, Balance Sheet and Cash Flow statements. All these statements reveal all financial information of the company. This form is filed within 30 days of Annual General Meeting (AGM). This form used for filing Annual Return which contains both financial as well as non-financial information of the company which include directors’ details, various meetings held during the year, remuneration of Directors and KMP, shareholding pattern and so on. 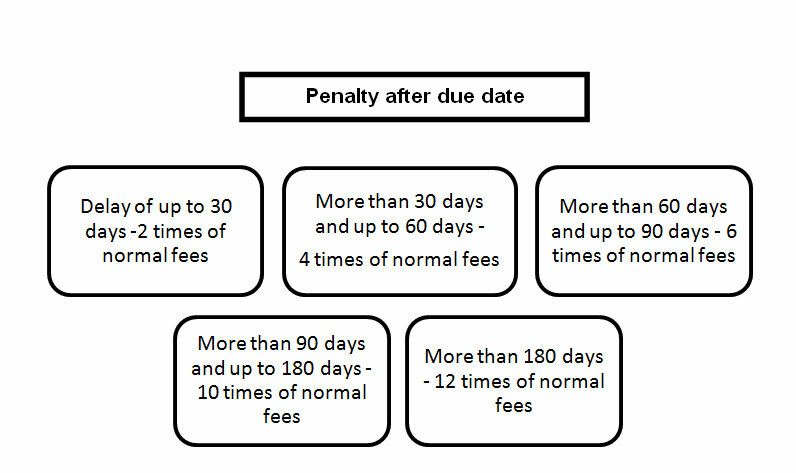 Filling ROC forms on time will leads to save cost of penalty. By Filling ROC Form on time Company can maintain the status of Non Dormant / Active Company. WHAT ARE THE INFORMATION & DOCUMENTS REQUIRED FOR ANNUAL E-FILING OF THE COMPANY? WHETHER ANNUAL FILING IS REQUIRED FOR EVERY COMPANY? WHEN COMPANY IS REQUIRED TO FORM 66 IN THE ANNUAL FILING? All Companies having paid up capital of Rs.10 lakh to Rs. 5 crore have to file form 66 within 30 days from the date of AGM. Form 23ACA & Form 23AC are required to file within 30 days from the date of AGM of the Company. We file annual filing form within 3 to 4 hours after the completion of documents from the client. Annual Return is mandatory attachment of the Annual Filing form 20B which is applicable to all companies. It has to file within 60 days from the date of AGM with the prescribed fee. It contains information of balance sheet, profit & loss account & Compliance Certificate of the Company. It also contain details of registered office, details of director, details of members, details of shares & shareholding of the Company.